A fire on Third Street draws departments from across the region and heavily damages a duplex, but causes only one minor injury: coverage and photos on this week’s front page. 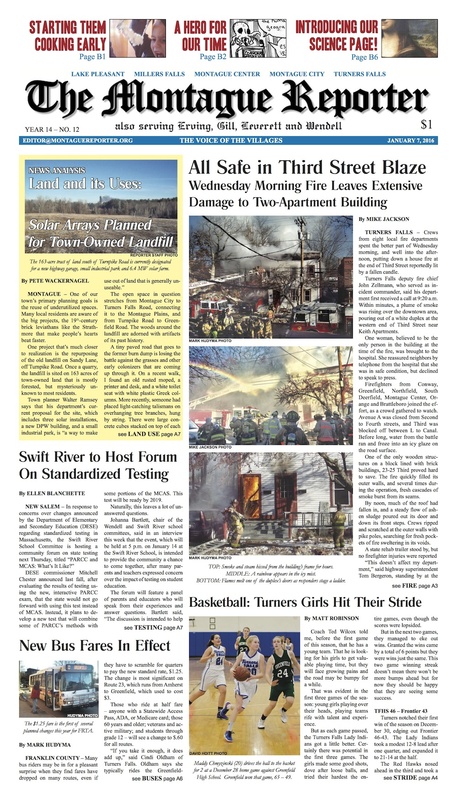 New bus fares take effect on the FRTA; Swift River plans a forum on standardized testing; TF girls basketball hits its stride; a look at a possible solar future for an old Montague landfill; and selectboard coverage from Montague, Erving, and Wendell. Plus: one letter writer votes YES for continuing selectboard coverage in the paper (after our request for feedback last week) — what do you think? Write a letter, leave a comment, stop us on the street and weigh in…whatever works for you. MoRe: A look at free range children of yesteryear and toddler chefs of today. We talk to a self-proclaimed “knitting machine” in Bernardston. The Gardener’s Companion rings in the new year perusing seed catalogs. Oystergirl offers a history of hygiene. Check out the debut of NatureCulture, our new monthly science page. 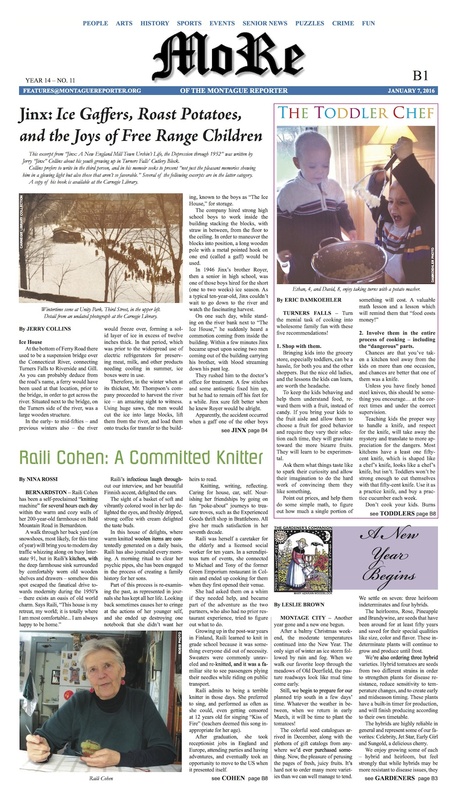 Plus: arts and events listings, features, cartoons, police logs, Pet of the Week, Healthy Geezer, and more.